Pleasant staff? Wonderful, all of them, especially the bar staff who always gave me two pieces of shortbread with coffee. Best hole? The first two times I played the 17th, I hated it. It made me quite angry, in fact. Imagine a dogleg left that, unless you can drive 250 yards into the wind, gives you no other choice but to hit your second shot over a long row of HUGE, MASSIVE trees. We’re talking proper tall grown-up thick trees here. Not only do you have to hit your shot high enough to clear them, but you have to reach at least 160 yards to have any chance of being near the green. Oh and there are big bunkers in front of the green if you’re a bit short. Basically, it doesn’t give your amateur golfer a fair chance of parring and forces you to chip on to get on the green in 3 (BORING). That was until I decided to take on the trees on the third day and landed my ball just off the edge of the far side of the green. That’s when it became my favourite hole. Après golf? Very nice bar with a pool table and massive screens showing football and golf. Heaven. Nice round? 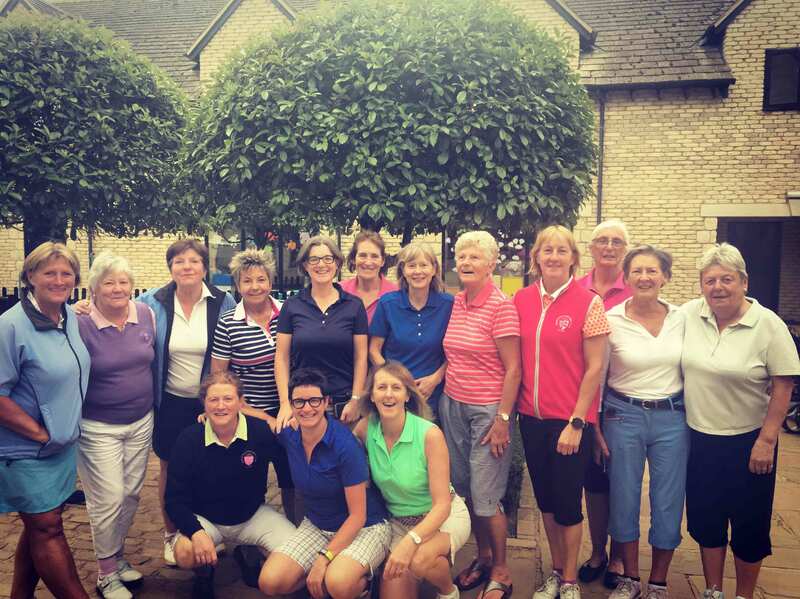 3.5 rounds, as it was our women’s section Autumn break. I loved every round. The course is very diverse and interesting, with a couple of fun risk/reward holes (14th and 15th). Special memory? Too many to choose from, but hearing the story of Judy’s trolley careering into a pond told many many times and the blatant cheating during evening games do stand out. Must play again? Yes, it’s a fun course – although it’s probably much more challenging in the winter, when all the ditches are filled with water.